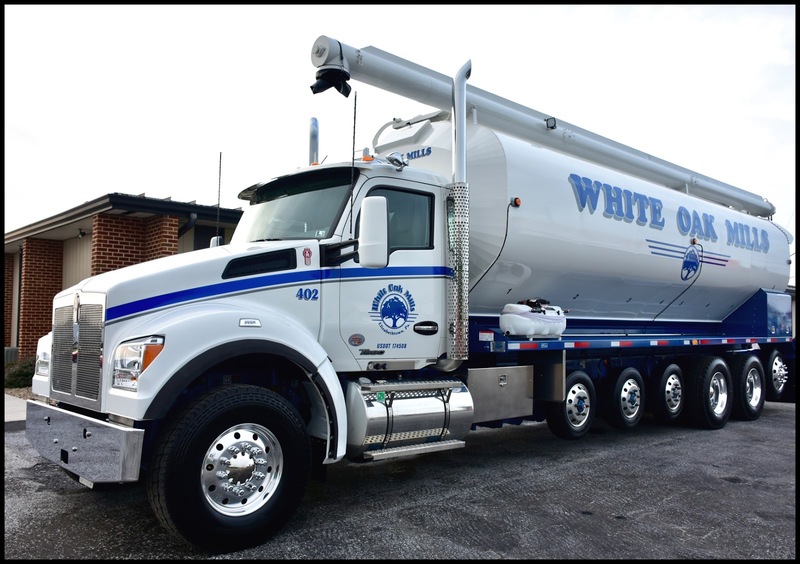 ELIZABETHTOWN, Pa., Sept 6, 2017 – White Oak Mills, a full-service Pennsylvania-based feed manufacturer, recently took delivery of a Kenworth T880S 7-axle straight truck, becoming Kenworth’s first customer to operate a T880S in this configuration. 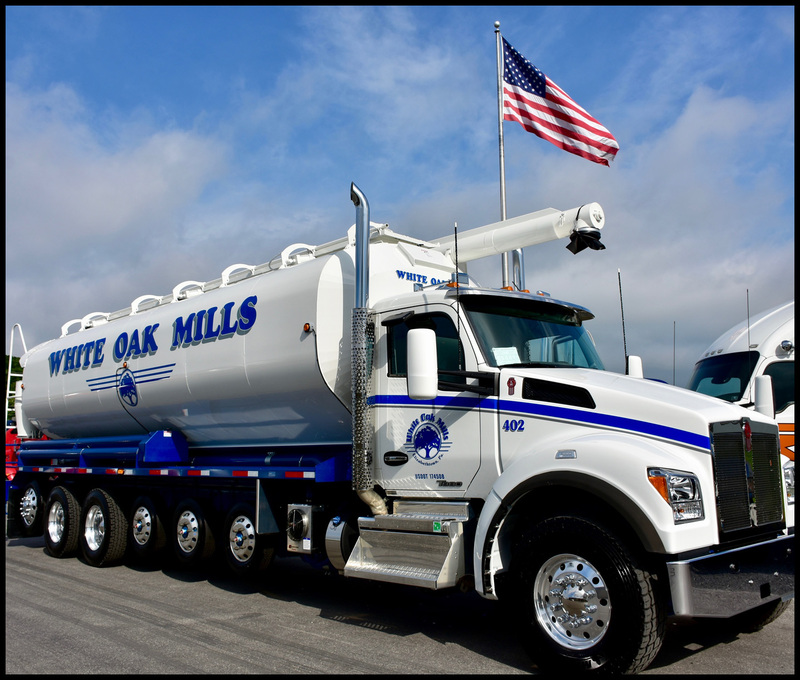 To recognize this Kenworth “first,” selling dealer Kenworth of Pennsylvania – Carlisle held a special ceremony for White Oak Mills. According to Josh Long, White Oak Mills transportation manager, the 7-axle configuration with 26-foot Walinga feed body allows the company to increase the amount of animal feed it hauls into Maryland and New Jersey – going from 11.25 tons per truckload to 22.75 tons. In addition, the company can carry three more tons of feed per load within its home state of Pennsylvania. Long said as demand increases and the T800S seven-axle proves itself, more will be purchased. “We feel we’re getting a double bang for the buck with Kenworth,” he said. “When we first got the T880s we were looking for reliability and productivity. We work 24 hours a day, six days a week, delivering feed and have a heavy-haul permit to load to 95,000 GVWR in our state. 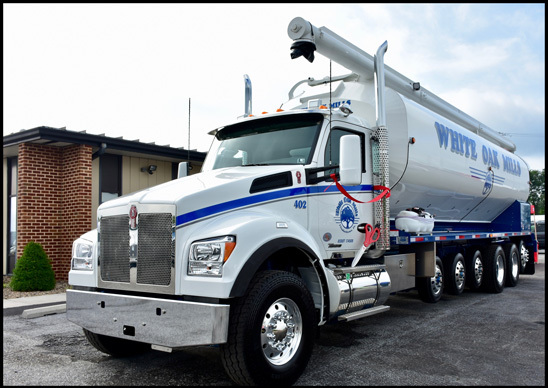 We found the trucks to be true workhorses with a very sharp turning radius – which we need since we’re delivering off-road and often in tight quarters.